Fourth defeat is on the cards for India as Alastair Cook saved best for the last by playing a 147 runs innings and stitching a 259 run-partnership with skipper Joe Root(125) to take England’s score to 423, giving an impossible target of 464 runs to India. Indians didn’t put any fight for the first time in the series and the scoreline of 3-1 in England’s favour clearly depicts the story. The Indian players were humiliated after fielding for 112 overs which reflected in their batting. Shikhar Dhawan(1) again proved why he’s not a trustable batsman in overseas conditions. India’s spine Cheteshwar Pujara and Virat Kohli didn’t trouble the scorers as India was struggling at 2/3 at one stage. 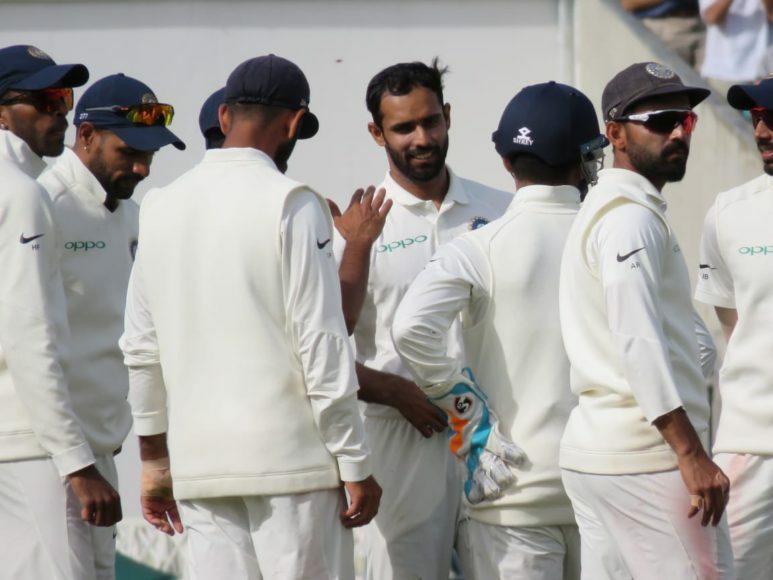 KL Rahul(46) and Ajinkya Rahane(10) rescued India from an embarasing situation and made sure that the game goes into the last day. India are 58/3 with 406 runs more required on the last day. @imVkohli What you have done virat. I thought you will score century on last innings of fifth test against England. Not a single batsman shown a responsible to win a test match for India. Please go ahead, and do separate team for test and ODI in future . That early spell from Anderson and Broad has pretty sealed the deal. India need 406 tomorrow, England 7 wickets. We’ll have coverage from ball one. 3) This is not the great England side India lost its best chance. Fact is that India are Tigers at home and pussies in England, SA, Australia and New Zealand. The ICC rankings are not relevant at all.